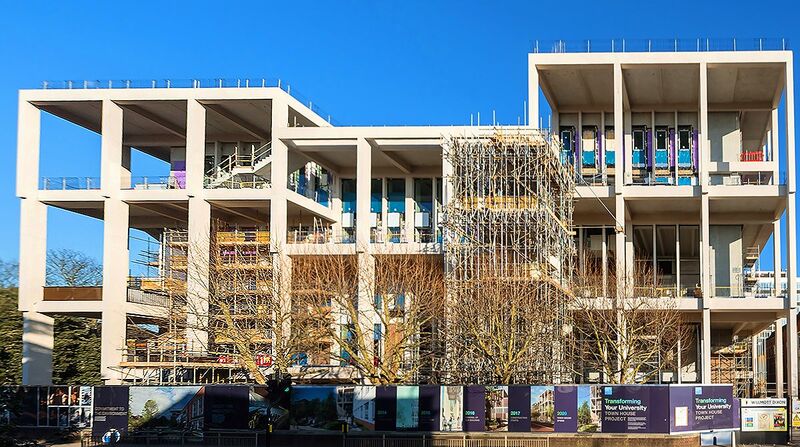 Kingston University's flagship new Town House building, due to open next year, is in its final stages of construction. Town House will be a community resource for Kingston. 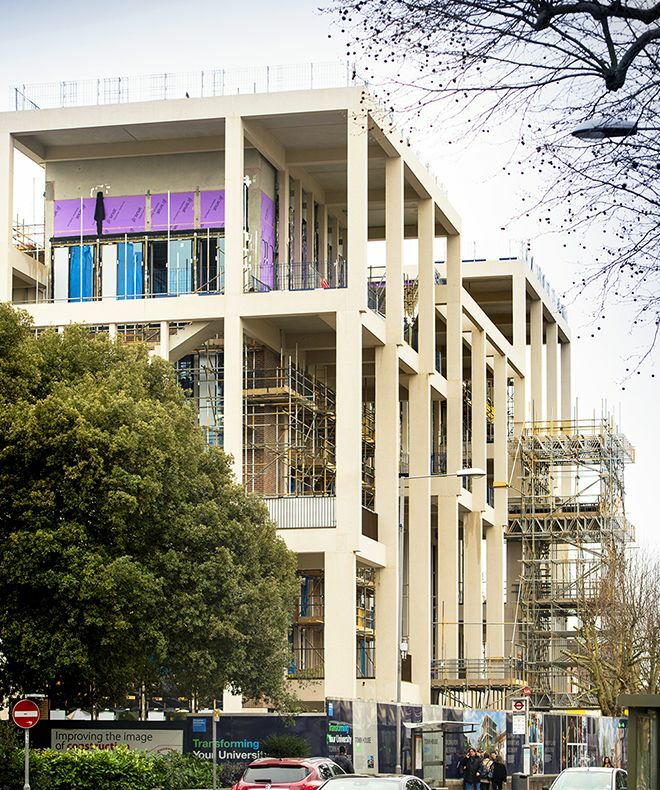 Image: Peter Langdown.Working with RIBA award-winning and Stirling Prize-nominated Grafton Architects alongside three-time Education Constructor of the Year builders Willmott Dixon, Town House will provide a vibrant new face for the University and a welcoming gateway to Kingston upon Thames. The site visits formed part of this year's Open Doors events. Open Doors is a national initiative which sees contractors – such as Town House builders Willmott Dixon Construction – open sites to the public to allow them to go behind the scenes to see the variety of professionals that contribute to the construction of a new building. Managing Director for Willmott Dixon South London, South East Roger Forsdyke said his staff had been excited to show the local community the final stages of activity. "Open Doors provides a great platform for our company to showcase the hard work that goes in to building incredible landmarks such as Town House," he added. Postgraduate student Laura Miles is completing her professional practice course which will allow her to work as a fully-qualified architect. It had been especially helpful for her to attend an Open Doors session and hear about a real life building alongside developing her theoretical knowledge, Laura said. "I didn't realise that the building design incorporated exposed elements or just how many of these parts would arrive fully assembled, ready to just lift in to place," she explained. Town House project manager Gary Young said he had been pleased to be able to highlight the building's sustainability features. "It's a very efficient insulated structure so we won't have to produce much heat to keep it warm in the winter and cool in the summer," he said. "It's really important to be able to show staff and students round the building especially as Kingston University is so highly regarded for architecture – I studied here myself many years ago." 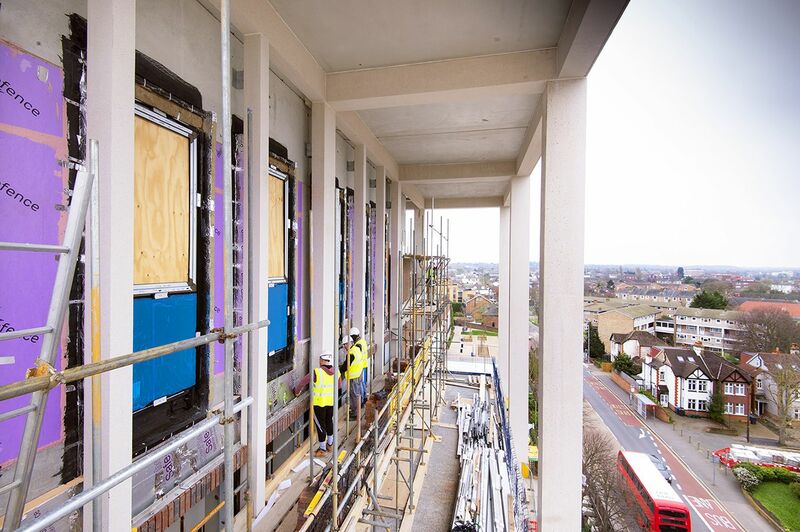 Find out more about Kingston University's Town House building. A number of sustainability features are being installed in the new building. Image: Peter Langdown.